While all dogs stink from time to time and if not groomed regularly, some seem to carry a stronger smell than others. This “dog smell” is most often attributed to gland secretions that are heavier in some breeds than others, but can also be caused by allergies and infections. It’s important to keep in mind that basic care will prevent dogs from being overly stinky, but be prepared for a little extra doggie odor if you decide to bring home one of these breeds. The Basset Hound is a large scenting dog on short legs and is known for being a stinky breed. They are excessive droolers and have long ears and flews that will smell if left wet and dirty. The breed is also prone to allergies that can cause smelly skin and ear infections. The Cocker Spaniel is a sweet and affectionate, but enthusiasts know quite well how stinky the breed can get. Both the English and American varieties are susceptible to allergies that cause skin and ear infections; both can be very foul smelling. The Labrador Retriever is the most popular companion dog in the United States and other countries, but it can carry more doggie odor than some other breeds. Like the rest on this list, they are prone to allergies that lead to stinky skin and ear infections. The English Bulldog is known for being smelly. The breed drools heavily, is prone to allergies and skin infections in its many folds. Further, they are also known for being quite flatulent. That said, when well-maintained the breed is very enjoyable and easy to live with. Despite its size, the Saint Bernard is quite the gentle giant. Unfortunately, the breed drools heavily and this will moisten their flews and can become quite stinky. Luckily this is relatively easy to manage and well-kept dogs can be relatively odorless. The Bloodhound is generally a larger version of the Basset Hound. It is known for its incredible scenting capabilities and has been used largely as a hunting and search and rescue dog. Because of its long ears, flews and propensity to drooling, they can be very smelly dogs. This Chinese breed is easily recognized by its unique set of wrinkles all over its body. 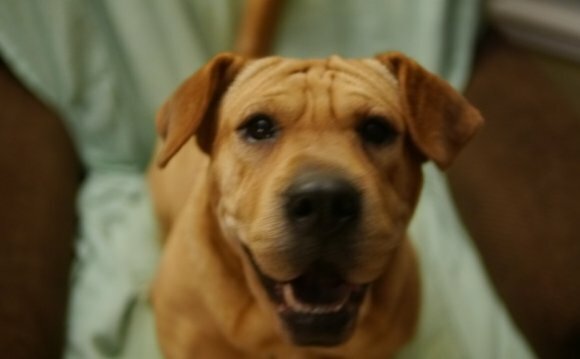 While this is part of what makes the Shar Pei so appealing, it should be known that the breed is prone to various skin infections, including those within the folds. These can be very smelly, but are relatively easily managed. There are many different Mastiff breeds in the world and all are typically the same when it comes to doggie odor. Mastiffs are giant breeds that drool heavily and have layers of wrinkles and thick flews. Many are also prone to allergies and skin infections and, overall, the Mastiff breeds carry a substantial odor. The Pug is an affectionate, fun-loving breed that has taken over the hearts of many dog lovers. Unfortunately, the breed does have a higher rate of allergies that lead to stinky skin and ear infections. They are also prone to tooth decay and dental disease that can also be very foul smelling. That said, regular grooming and hygiene will keep these dogs relatively odorless.